Craving some delicious snack on a rainy evening? 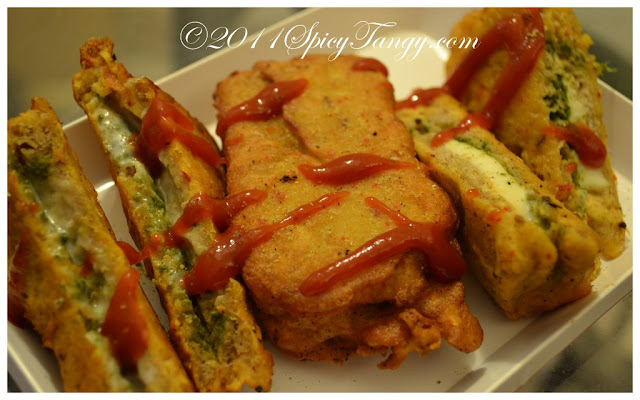 Here is a spicy-tangy version of the classic 'bread pakoda'. Hope you enjoy it! Mix together chickpea flour, rice flour, dry mango powder, cooking soda, cumin seeds, chili powder, turmeric powder and salt. Add water and blend it well with a hand blender so that there are no lumps. Take the bread slices and cut off the edges. Apply mint chutney of the each side of the bread and place a cheese slice along with it. Put another bread slice on top to make a sandwich. Take a large frying pan and heat oil on medium flame. Once the oil is hot, dip each half of the sandwich in the batter and deep fry till you get light golden color. Sprinkle chaat masala on the pakodas. Top up with ketchup and serve hot! very interesting recipe. all age group will enjoy! 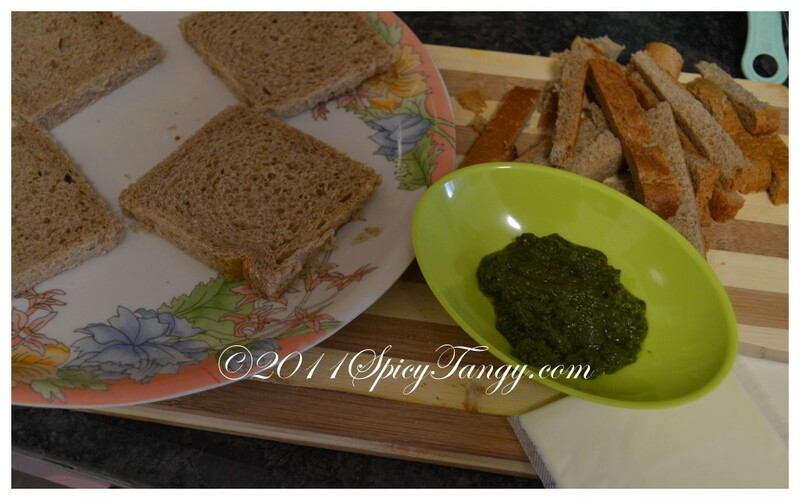 This is soo yummy :) I want to make it right now and relish the spicy mint chutney with the cheesy awesomeness! :) thanks for sharing! Thanks Divya ! I am sure you gonna love this when you make it :) Enjoy !! Try it out with Vegetables and Paneer. 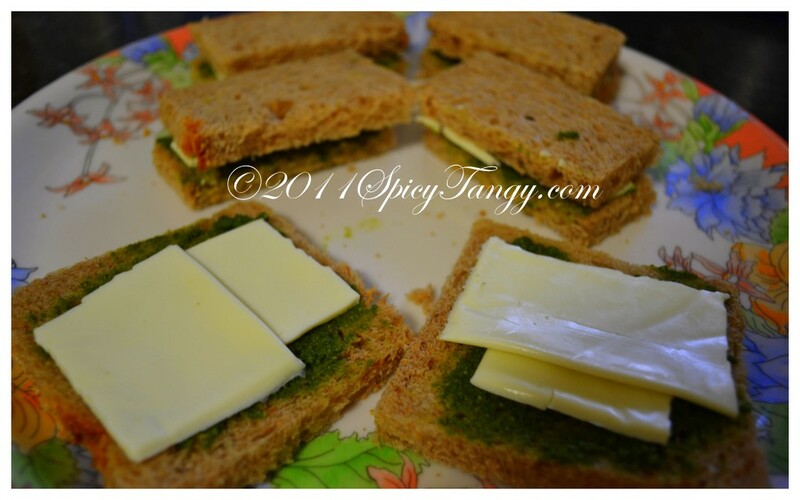 My Sis used to make this.Soak the bread in water for 1 min, Flatten the bread piece and place the stuff(vegatable and paneer balls) and seal the bread.Use water if required to seal the bread. Try it out with Vegetables and Paneer.Make stuff out of this(veg+paneer) adding Garam masala and kasturi meethi,make balls and keep it aside.Soak Bread slices for a min. Flatten the bread,fill it up with Vegetable balls and seal the bread. Use water if required to seal the bread. this sounds good :) Should try sometimes ! !